Love is in the air and Valentine’s Day is right around the corner! 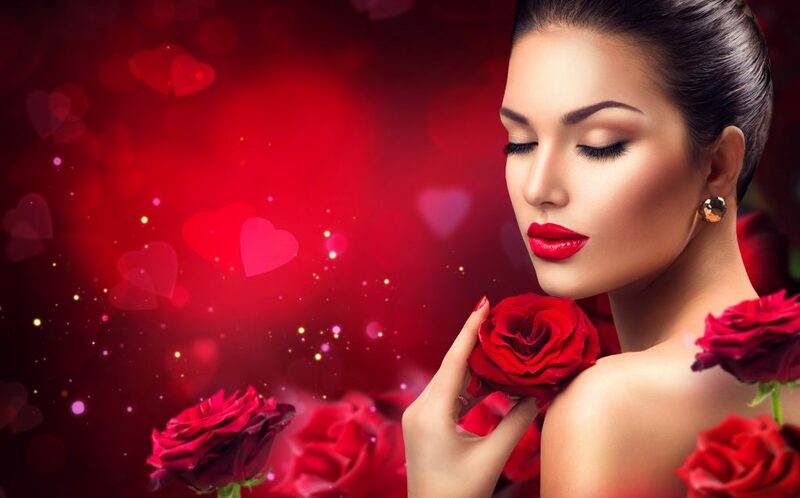 Today we’re talking about Valentine’s Day makeup trends. Red lips are all the rage at two popular, celebratory times of year – Christmas and Valentine’s Day. It’s no surprise, since these are the two holidays that makes red look flawless. The key here is using the right lip liner to make sure your lipstick doesn’t bleed. You might even want a touch of concealer to clean up mistakes since red is an unforgiving color. But once you’re done, you’ll have nailed this timeless look! The fluffier the eyelashes, the cuter the whole look becomes! Women love using fake eyelashes to accentuate their eyes and bat those fluffy lashes on a romantic holiday! Since all the attention goes to big lashes and red lips, it’s important to keep the rest of the makeup subtle so it isn’t overwhelming. This is one of the main reasons why women love wearing soft, shimmery eyeshadow on their eyelids. It’s just enough to bring out their beautiful eye color while also remaining subtle enough to bring more attention to the key features they are accentuating.